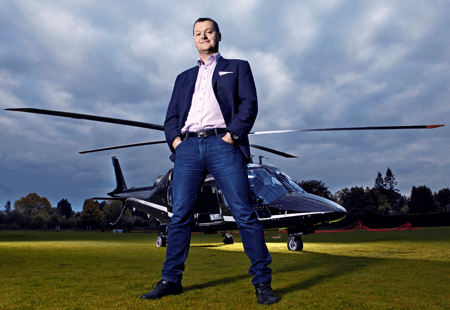 Lawrence Jones MBE, CEO of cloud hosting provider UKFast, is helping to shape the next generation of technically and digitally skilled workers with his innovative and revolutionary thinking. Starting his business 15 years ago, he had the foresight to know the Northern Powerhouse was possible and achievable. Lawrence is a passionate supporter of nurturing and developing home-grown talent in the North and is leading the charge to fill in the tech skills gap and make it a leading economy for talent and business in the UK. His rapidly growing business looks after the sensitive data of clients, such as the NHS and the Ministry of Defence. He is a key player in Manchester and the North and his work stretches much further than simply providing technology software to his clients. Recent government statistics have shown that small businesses with an online presence offer twice as many job opportunities, yield twice as much profit and grow at twice the speed. It’s a trend which Lawrence has seen emerge first hand. “I’m getting 10 to 20 businesses a day coming to me asking for my help and this has significantly accelerated in the last five years,” he said. Aware of the changes in the market and the need for more people with tech skills, Lawrence pre-warned business leaders and government officials a decade ago, about this predicted gap. “Five years on nothing was changing so we decided to change it ourselves,” he added. He hired two teachers from the public sector to join UKFast to train apprentices internally. In 2016, he hired a further 50 young people and now has five former teachers working full time within his company – offering a bespoke programme of education as well as practical hands-on training. Last year UKFast reached out to 57,000 school children across Manchester in more than 50 schools through a series of code clubs, teacher training and inspirational talks.